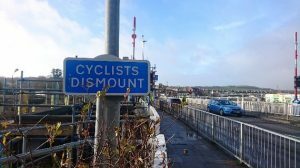 Cycling UK in conjunction with the British Horse Society has issued a short video guide on how cyclists should pass horses. It’s worth watching. Please CLICK HERE to see the video. A post on this subject, Horses and Cyclists, was issued on 21st August. This is an updated version of a post issued a couple of months ago. Since then some research has been carried out on this topic. Horses are a common sight on many of the country roads and trails in the Cycle Seahaven area. They are usually very well ridden, the riders are friendly and there’s rarely a problem. Here are a few tips which should allow you to pass safely. Remember a horse is a “prey” animal, it will view anything moving behind it as a potential threat. On bridleways, it is important that cyclists give way to horse riders (the Countryside Act 1968 gave cyclists the right to use bridleways but stated that they must give way to horse riders and walkers). Let horses and riders know you’re there. A horse is unlikely to see or hear you, especially if you are approaching quietly from behind. Calling out ‘hello’ to equestrians is welcome and important in alerting horses and riders that you are there. Never ring your bell when near a horse. If you do, then it could startle the horse. When approaching a horse from the rear ask the horse rider if it’s OK to pass. Speak in a calm voice, never shout. Don’t pass until they say so; sometimes they will tell you to wait. Pass wide and on the right. Most horses are used to traffic passing them on the right so pass them as you would anyone else; don’t cut inside, and allow plenty of room in case the horse is surprised or startled. Large groups of cyclists are very scary for horses. Passing in small groups of no more than four or five will really help. If you are in a large group, make your presence known so that equestrians can try to find somewhere safe. Always pass a horse at a moderate, steady pace, i.e. not too fast. You’ll probably need to slow down but there’s no need to stop unless the horse looks agitated in which case the rider may tell you what to do. When you pass a horse from the rear tell the rider how many cyclists are following you if you’re the first cyclist to overtake. When approaching a horse from the front switch off a flashing front light if you’re using one. Talk to the rider as you pass to demonstrate to the horse that you’re friendly. Never cross a level crossing if a horse is already on the crossing or about to cross it. Horses can get a shock if they touch a rail which could be nasty if a horse bolted. (That’s why some level crossings have posts for the horse rider to touch for discharging any static). If you come across a horse that looks unsettled, always keep a good distance from it and wait. Usually, the horse rider will signal to pass when they have the horse under control or will pull the horse off the road and into a field. Above all, never do anything to startle or frighten a horse. We hope these tips prove useful. If any horse riders are reading this then we’d very much welcome your comments, especially if you have further tips which would enhance the safe passing of horses by cyclists. Please leave a reply below. 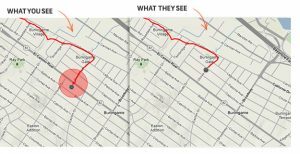 Strava – Are you protected? Strava is a great tool, most of the riders I know in the club use it. However, it can be used for more sinister reasons. If you don’t apply some simple precautions anyone can view your profile. 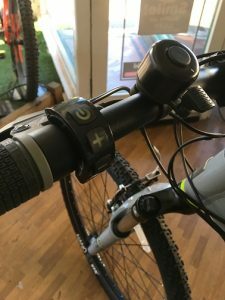 It will show them where you live, any pattern of activity and if you’ve described your bike, what type of bikes you own. On the website, go to your Settings page by hovering over your profile picture in the top right and selecting “Settings”. Click on the Privacy tab on the left side of the page. The portion of your activity that starts or stops within your privacy zone will be hidden from other Strava athletes who view your activity. You will be able to see data inside your privacy zone, but other athletes will not. Your privacy zone will be automatically applied to all past and future activities. GPS location-based lat/long coordinates can be used in place of a street address for cases where there is no street address. Only one privacy zone can be applied to the start or end point for each activity. So if you have multiple, overlapping privacy zones, only one will be applied to each start or end point. Your Privacy Zone will be respected when you share on Facebook. From your profile page, you can easily manage your current followers from the “Following” tab. When you block an athlete, it stops him/her from following you again, seeing certain Profile details, or accessing your activities. You will be removed from his/her list of followers and Activity Feed. Someone you’ve blocked will be able to see your activity entries in public areas like segment leaderboards, club feeds, and segment explore. 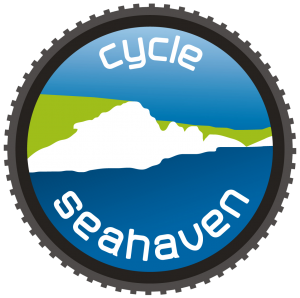 https://cycleseahaven.org.uk/wp-content/uploads/2018/06/stava.jpg 500 500 Guy Reynolds http://cycleseahaven.org.uk/wp-content/uploads/2012/04/CycleSeahaven2-300x298.png Guy Reynolds2018-06-30 21:22:232018-06-30 21:24:58Strava - Are you protected? 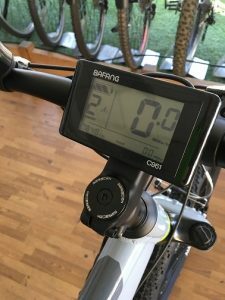 Are you considering purchasing an E-bike but you can’t bear the thought of not being able to ride that fantastic bike you been using for years? 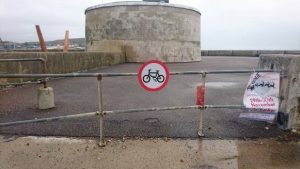 Mr Cycles in Seaford, has a solution. They can convert your old bike in an E-bike for a fraction of the cost. 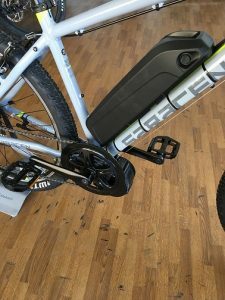 The conversions use crank-drive kits that are UK legal.The battery is a lithium-ion 13Ah/468 Watt hour capable of a range in access of 50 miles. The cost of this wizardry? The price for a fully-fitted conversion is £800. If you want to know more or fancy a test ride then pop down to Mr Cycles and have a go. Never ring your bell when near a horse. If you do then it could startle the horse and you’re likely to be rebuked by the horse rider. Always talk to the horse rider in a calm voice, never shout. Always pass a horse at a moderate, steady pace, ie not too fast. You’ll probably need to slow down but there’s no need to stop unless the horse looks agitated in which case the rider may tell you what to do. Always give horses a wide berth when passing and only pass when it’s clearly safe to do so. When approaching a horse from the rear ask the horse rider if it’s OK to pass. Don’t pass until they say so; sometimes they will tell you to wait. When you pass a horse from the rear tell the rider how many cyclists are following you if you’re the first rider to overtake. Talk to the rider as you pass to demonstrate to the horse that you’re friendly. The weather is usually a good subject; riders usually appreciate this. Never cross a level crossing if a horse is already on the crossing or about to cross it. (Horses can get a shock if they touch a rail which could be nasty if a horse bolted. (That’s why some level crossings have posts for the horse rider to touch to discharge any static). Please regard these tips as just suggestions rather than golden rules. They work for me and are based on my many years (decades, in fact) of cycling along country roads and passing horses as well as advice from horse riders. Just occasionally, I come across a horse that looks unsettled in which case I always keep a good distance from it and wait. Usually, the horse rider will signal to pass when they have the horse under control or will pull the horse off the road and into a field. I hope this is helpful advice. However, I’m always willing to learn so I’d very much welcome comments from any horse riders reading this. The Sussex PCC (Police and Crime Commissioner) Panel were today, 27 April ’18, advised that the Safe Pass scheme first introduced by the West Midlands force will be introduced across Sussex very shortly….Agenda item#7 attachment. cyclists are likely to do so around other road users so it benefits all”. Since the operation has been implemented the WMP have reported a 50% drop in poor overtaking. and a 20% reduction in the number of cyclists killed or injured, this confirms it is a hugely effective use of limited resources, representing excellent value for taxpayers. In November 2017 it was reported that Sussex police were evaluating the initiative, however there has been no further action regarding the implementation of such an operation. Officers carrying out a road safety operation tackling the issue of drivers not allowing cyclist enough clearance during overtaking. I understand the importance that the residents of Sussex place on road safety which is a key feature in my Police & Crime Plan. Police will be introducing a similar scheme, led by the SSRP and supported by the Road Policing Unit. NB. I’ve emailed Sussex Police for more information about roll-out arrangements and await a response. 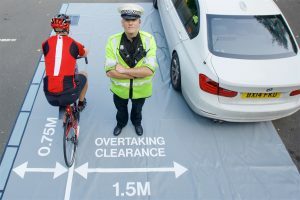 This arose out of the the ‘Close Pass’ operation to improve driving standards and shouldn’t be confused with the Safe pass programme in the construction industry! We’re all aware that cycling is good for one’s health but the news this week that cycling keeps your immune system young is a real bonus! It’s based on a study of 125 long-distance cyclists, some in their 80s which found they had the immune system of 20-year-olds. You can read about it in a Guardian article. 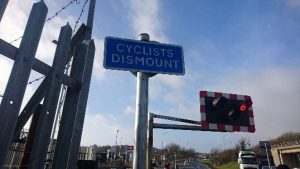 The type of cycling described is similar to the Cycle Seahaven touring rides so this is great news for the tourers. There are three touring rides each week (Tuesday, Thursday and Sunday) which usually clock-up over 100 miles. Next week the touring rides are to Chilley Farm Café on Sunday (36 miles), Muddles Green on Tuesday (30 miles) and Bexhill on Thursday (44 miles), a total of 110 miles over those three days. So, if you’re not already a tourer, why not try one or more of these rides. Details are on the Rides Calendar. All include climbs up Chapel Hill so, as you puff your way to the top, you’ll have the comforting thought that you may be rejuvenating your immune system. That said, all types of cycling are healthy exercise. Now that the weather is improving I’m sure there will be an even greater selection of rides on the Rides Calendar. The important thing is to keep cycling.